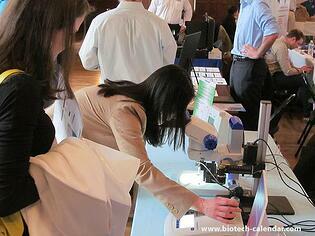 Last year, the BioResearch Product Faire™ Event at Georgetown University attracted nearly 100 attendees. 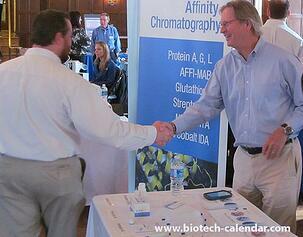 Of these attendees, nearly 40 were purchasing agents, professors, post docs, and lab managers. These attendees came from 9 different research buildings and 18 on-campus departments. View the 2014 event photo gallery here. Georgetown University is a growing research institution that receives millions of dollars annually in the form of grants, awards and donations from the NIH, NSF, and other private and public donors. The National Cancer Institute awarded Georgetown a $1.3 million grant for a project titled: "Comparative Modeling: Informing Breast Cancer Control Practice & Policy"
The National Institutes of Health awarded a Georgetown chemistry professor a five-year $4.75 million grant to identify combinations of two or more drugs that will work effectively against current strains of drug-resistant malaria. 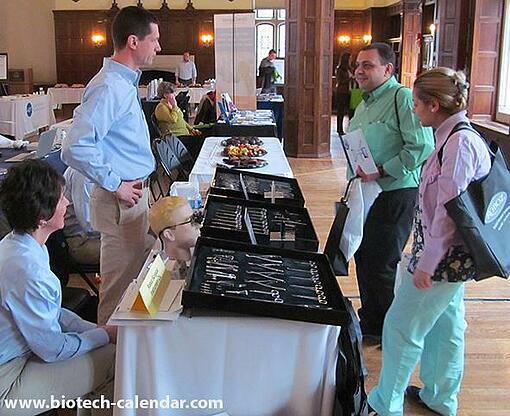 Biotechnology Calendar, Inc. is a full-service science research marketing and event-planning company that organizes life science events and trade shows at top quality research universities across the country. If you’d like to learn more about life science marketing at other life science events held at universities with available life science funding, we encourage you to view our 2015 calendar of events. For more information about exhibiting lab products at the upcoming Georgetown BioResearch Product Faire™ Event, or to view more funding statistics for Georgetown University, click on the button below. Researchers at Georgetown University are invited to pre-register for the event by clicking on the following button.